We will start at the intersection of 21 and Poplar Springs Rd and work our way more or less north on Poplar Springs for three miles to Noah Hayes Road and then go left till it intersects with Adams Ridge Rd. Total distance 4.3 miles. Since this is one of the first coordinated trash pickups, I am going to limit the volunteers to five. We will need one person to drive the truck and trailer. Boots are good as the trash can be quite deep, in ditches, in the woods, etc.. Pants, not shorts. Unless you like ticks. Bottled water? I’ll bring a cooler of water as well with cups. Comfortable gloves would be helpful as some of the cans can be sharp and some of the trash can be nasty. The NC DOT provides disposable gloves, which I will distribute to those who need them. This route is about 4 miles long, which should be a pleasant walk in the fall. Poplar Springs is a fairly busy road, the DOT has provided us with orange vests that I will distribute. 2 hours is about enough time to spend seriously picking up trash. It’s pretty hard work. We’ll see how much damage we can do in 2 hours. I will return all participants to the Walmart parking lot upon completion. 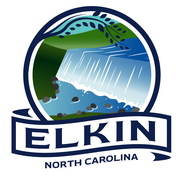 The NC DOT donates $3 per bag of trash collected to the Elkin Valley Trails Association! *Note: Limiting volunteers to 5 to assure that we all get to work hard.